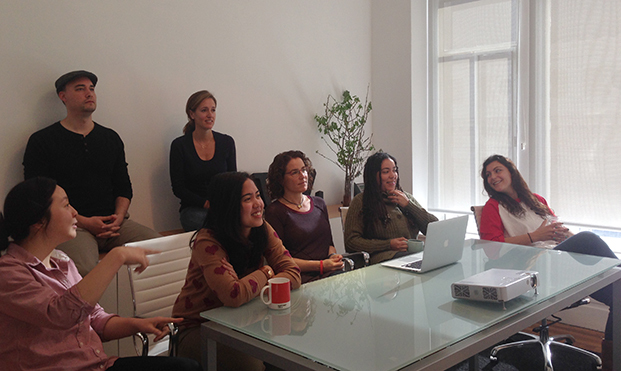 Once a month our team gathers to share new and inspiring TED Talks over a yummy breakfast. We cover everything from Anatomy of a New Yorker cartoon to the Curly Fry Conundrum. Each month one of us selects the talks and we watch and learn. Afterwards we all share our thoughts and it inevitably leads to new ideas. Last week we planned an international potluck and watched “Try Something New for 30 Days.” By the end of the morning, we had each committed to trying a new endeavor for the next month. It ranged from taking a photograph every day to daily meditation, reading and steering clear of caffeine. Wish us luck!